After teaching a new or a reviewed concept, the teacher can conduct a quick question or a comprehension poll, allowing instant feedback so that teacher can be sure the students are on the same page and have understood the topic presented. It helps the teacher adjust their pace, instruction material and methods accordingly. Using nClass to digitally administer the class discussion or conducting an anonymous poll the teacher can collect data quickly. Even though teachers have been doing this already, but often the same students raise their hand. Using nClass, you can increase participation and in turn help you hear from all students not just the most active ones. nClass can instantly aggregate this feedback for a large class, allowing you to adapt the pedagogy. Listening to student questions and responses may stimulate the teacher to reflect and review their lecture materials. Encourage students to be honest and fear-free by using the anonymous features of nClass. Student responses and comprehension inputs can be made anonymous so the student identity is hidden, but showing the aggregate of responses to the teacher. The teacher can use this feature to increase participation and student engagement. 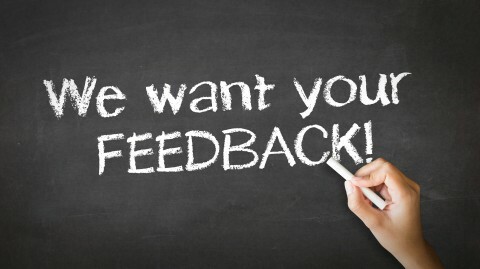 How do you collect student feedback? Tell us in the comments.